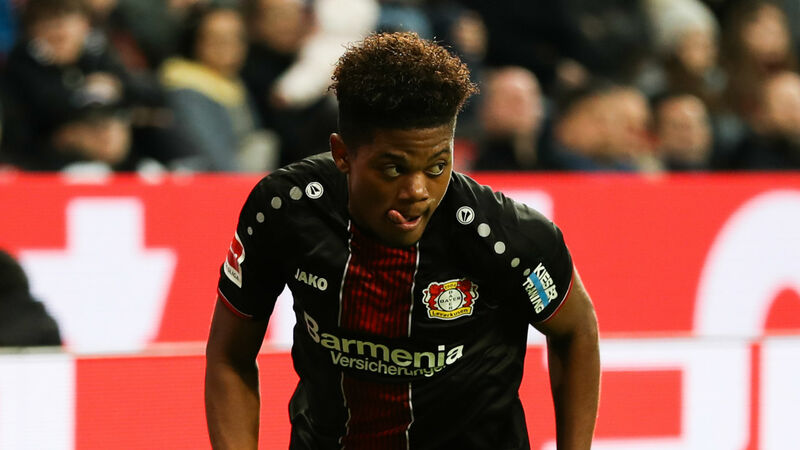 Leon Bailey will not be leaving Bayer Leverkusen in January despite a host of Europe's top clubs courting the 21-year-old winger. Bailey has emerged as one of the hottest young prospects in world football over the past 12 months, with nine Bundesliga goals to his name in 2017-18 as Leverkusen finished fifth. He has struggled to make a similar impact this term but his future remains the topic of speculation, with Premier League giants Manchester City, Manchester United, Liverpool and Chelsea all reportedly showing an interest. Roma were also linked with Bailey but Leverkusen have repeatedly stated that no offers were made for the forward, and he penned a new deal at the BayArena in August. That ties him to the club until 2023, although sporting director Jonas Boldt accepts he is likely to depart before then. However, that will not be during the next transfer window as Leverkusen look to improve on their disappointing start to the 2018-19 league campaign that has seen them take just 11 points from 10 matches, leaving them 13th. "We all know that Leon will eventually go," Boldt told Bild. "But we have made it clear that a winter change is out of the question. He also knows that he has our backing." Bailey will look to open his European account for Leverkusen on Thursday when they host Zurich in Group A.